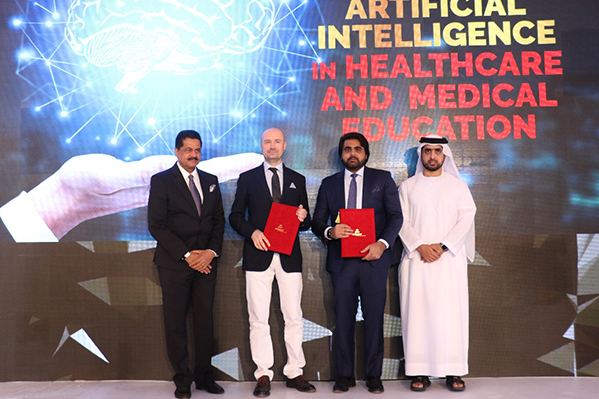 Artificial Intelligence has profound impact on the healthcare and medical education fields, that it will drastically transform the way patients are treated and medical students are trained in the future, according to AI, healthcare and medical education experts who spoke at the ‘1st Annual International Conference on the Role of Artificial Intelligence in Healthcare and Medical Education’, at the Palazzo Versace Dubai, on 11th April 2018. Organized by Thumbay Technologies, the leading IT services company owned by Dubai-based international conglomerate Thumbay Group, the conference brought together expert speakers from the US, UK, Switzerland, UAE, India and Australia to discuss the scope, impact and opportunities of AI in healthcare and medical education. His Highness Shaikh Mohammed Maktoum Juma Almaktoum, Chairman, MBM Groups, Dubai was the chief guest of the conference. Dr. Thumbay Moideen, Founder, President of Thumbay Group presided over the function. Formally welcoming the attendees, Mr. Akram Moideen Thumbay, Director of Thumbay Technologies said that AI not only defined the world of tomorrow, but also determined how we are going to think and act in the future. 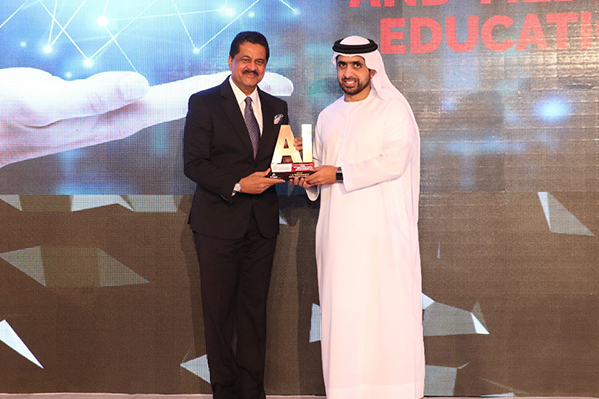 Speaking on Thumbay Group’s efforts to facilitate the growth of IT across healthcare and medical education, he said, “Thumbay Technologies is eager to explore opportunities to partner with leading AI companies, in our efforts to improve the quality and efficiency of AI in the UAE and India. Our main focus is in the education and healthcare sectors. As the head of Thumbay Technologies, I would personally like to look for partners to promote AI in education and healthcare, for the region.” Mr. Akram also expressed hope that the conference would serve as a platform to exchange ideas to develop the future of AI, addressing the growing needs of the region and beyond. Experts opined that AI would significantly help doctors and healthcare professionals of the future, increasing the efficiency of diagnoses by improving speed and accuracy. AI would also help generate a lot of data, which would be of great help to preventive medicine, by detecting pre-symptoms signs of patients and even addressing chronic conditions. The way medical students derive their training will also be impacted, and future medical professionals will rely a lot on AI enabled technology and equipment. Speakers at the conference also said that this new trend would open up a world of opportunities for technology companies innovating in AI. The expert sessions were followed by a panel discussion on “Artificial Intelligence – Decoding The Future,” moderated by Prof. Hossam Hamdy. The panelists were Dr. Ajit Nagpal, Mrs. Amina Al Saadi, Dr. Ashok Gupta, Dr. P K Menon and Dr. Malligere Prasanna. The Chief Guest presented the speakers with mementos, as a token of appreciation.